Title text: That one is a variable star which pulses every 30 seconds. Its name comes from a Greek word meaning "smoke alarm." In space, nobody can hear your low-battery bips? With that many status LEDs, there's bound to be one device with an unreasonably bright one lighting up the entire room, thus torpedoing any attempt ato sleep. somitomi wrote: With that many status LEDs, there's bound to be one device with an unreasonably bright one lighting up the entire room, thus torpedoing any attempt ato sleep. You must be talking about the light on my Panamax power conditioner. People who stayed over and slept on the couch complained how bright it was. Only recently discovered there's a way to dim that light. But every time there's a power outage it resets to "lighthouse"
The comic is looping — the lights have multiplied. Is that a bad sign? I mean, there are only like five lights and the clock in that one. That's not that many in retrospect. It's called "literally all of the blue ones". Seriously, I've heard various explanations for why blue LEDs are so much brighter than all the others despite blue being the darkest of the primary colors, but the important thing is that they are. White ones tend to have this issue as well, I find. Personally I think we ought to be using LED readouts with manually-toggled backlights more often. I do not need to know the status of my modem in the middle of the night from across the room. In fact, I'm not sure I need to know if most things are on or not. If we went with color e-ink (yes, that's a thing; it's just too primitive right now to be used for e-readers), we could even find creative ways to integrate it into the housing, like having the lettering in the faceplate change color. 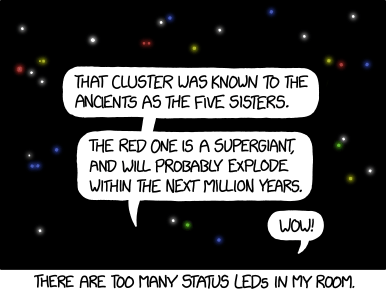 Sometimes the status lights are helpful. I can, if I lean to the side from my usual sofa position, see the lights on the router to know if the delay in a web page loading is at the other end or if my connection to the outside world has dropped (again). But if that was located in a bedroom, I'd want a nice way to turn the LEDs off. As it is, our bedroom has two phones (showing they are charging), two smart watches (also charging), a TV on standby and the lights on the surge protected power strips they all plug into. I have powered off the DVD player and the satellite signal extender as they haven't been used in years (can stream via the smart TV from a server) and all the computers sit in the livingroom. Designers, can you either put an easy to find setting to disable all the standby lights on your devices or put in a light detector so they auto power the LED off in the dark? Instead of a light, it'd be easy to have a mechanical coloured indicator, eg. pulled by an electromagnet so it shows a green patch when the device is powered. Steve the Pocket wrote: [It's called "literally all of the blue ones". Seriously, I've heard various explanations for why blue LEDs are so much brighter than all the others despite blue being the darkest of the primary colors, but the important thing is that they are. White ones tend to have this issue as well, I find. "White" tends to be done by taking blue and adding a phosphor to convert some of that to red and green (passively) or additional LEDs alongside the blue one (active and spectrally tunable). The development of a sufficiently bright blue LED was trickier than the other primaries (low-frequency red being the first one, blue being at the other end of the spectrum) and was (I think) the 2014 Nobel Prize's winning development. Seems to be the LED colour of choice, now, whenever a light of no particular colour could be used. I've been trying to work out for a while now what the next colour-fad might be, but as all primaries and 'pure' white are already there, there's not really an obviously missing hue. Best I can imagine is some blue-red mix that's notably of a tone of violet, indigo, lavender or somesuch, but I've seen them already and they're a combinatorial tone that's not obviously "that's the one!" by trend-leaders. Perhaps the next p-n junction combo that gives a pure colour distinctly different from the current ones might catch on, perhaps an 'infill' colour that tetrachromatic people would appreciate being boosted. speising wrote: Instead of a light, it'd be easy to have a mechanical coloured indicator, eg. pulled by an electromagnet so it shows a green patch when the device is powered. The suggestion up-page for color e-ink is reasonable; mechanical methods are way out there. BlitzGirl wrote: I mean, there are only like five lights and the clock in that one. THERE. ARE. FOUR. LI- Oh, wait, there's the fifth one. Okay yeah, never mind, my bad. Carry on. Wee Red Bird wrote: Designers, can you either put an easy to find setting to disable all the standby lights on your devices or put in a light detector so they auto power the LED off in the dark? There's a handy switch on the wall that will turn the lights off on any device. My apartment has one, but it took me a year or two to figure out what it went to. To be fair, that one outlet had a bed placed in front of it on the day I moved in, so... yeah. The US loves light switches that don't go to anything. If you don't have one, you're missing out on the fun of flipping a switch and imagining it going to ... something, anything your mind can dream up. Much easier to switch on a floor lamp when I get home now, instead of reaching around behind my door to turn on a ceiling light that's too high to easily replace the bulb when it finally burns out. Not switches in the middle of nowhere with no known purpose (I have two in this house that may have been used for the previous heating system or for something like zonibg for the original burglar alarm) but power outlets that have switches next to their sockets. Double (individually switched) mains sockets with three (always-on) USB power/charger-outlets, SOHO-style. 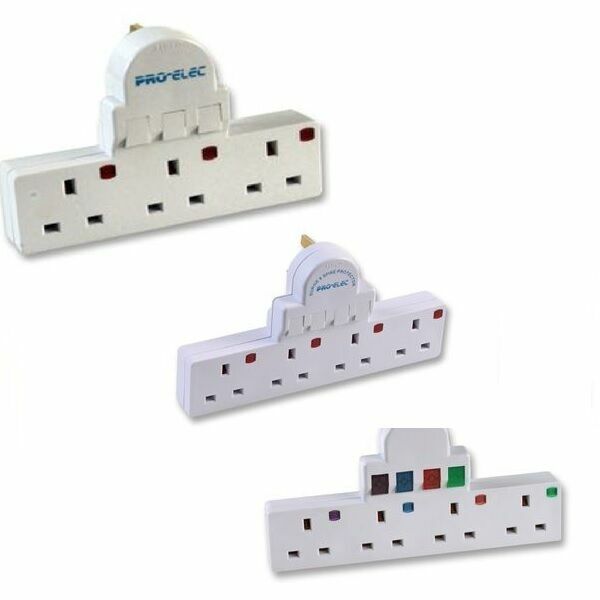 The utility of separate power-control to each and every three-way (L/N/E) plug is just so useful. Though note that some of these indicate their power status by an indicator light (rather than merely exposing a red-coated segment of a rocker-switch, or just the word 'On' as the flush rocker half tilts into the case and the other half out) to identify that power is passing(/passable¹) through that particular pair of L/N contacts, which one may find adds to the to total number of lights at night, unless hidden away beneath/behind sufficient furniture in the room. ¹ - Maybe it's the age-old folk-'wisdom' that electricity flows out of a socket that is on without a plug in it, and is at least as wasteful/dangerous as a water tap left running or gas-tap opened to the air and not connected to a (lit) gas-mantle. Yet another problem that can be solved by duct tape. Soupspoon wrote: The utility of separate power-control to each and every three-way (L/N/E) plug is just so useful. They're not that useful when dealing with properly designed equipment that has an off switch that actually cuts all power to the device (rather than an off button that switches the device into a standby mode) but when dealing with devices with intermittent usage and no true off state, they provide an alternative to unplugging (or flipping the house circuit breakers). 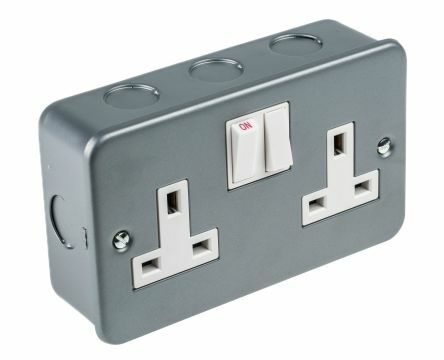 The main limiting factor in their usefulness is that the sockets are generally placed so as to be convenient for wiring, and inconvenient for people (people generally prefer for people-friendly parts of the room to be used for more people-centric purposes - such as displaying art or passing through - rather than for the convenience of appliances) so they're not generally suitable for frequent use (unlike, say, light-switches). If a socket is convenient enough to (say) unplug a charger-plug, not currently in use, then even more convenient to just switch the socket to off rather than tug the charger out. Whether or not the plug-block with the in-built transformer/step-down circuitry is built to last¹, the wall-socket rocker is generally lower-force to operate and robust for it². Also (if you're typically dedicating that socket to that plug pretty much exclusively as needed) is handier than having the unplugged plug rattling about. Not the answer to Life, The Universe And Everything, but I personally think it more than offsets all the arguments about our apparent unwillingness to use mixer-taps³, and often better the option than not, eh?!? ¹ - Occasionally working with WEEE waste items, I've seen more than a few a few cheapo/older transformer blocks come through my hands that have had the cases come apart to reveal the coil. Not sure if that happened during standard unplugging, due to furniture unreasonably bashed into the plug or during rough handling of the charger being chucked into a bottom drawer between uses. Or even from bashing up against other waste plugs after finding itself in the end-of-life bin that eventually got it past me (the equipment it powers broken, forgotten, lost or separated from - and itself unconsidered along the way). ² - May be a bigger hassle to replace when it fails, but I've never actually seen one fail (from that issue) and need the faceplate replaced after switching the ring-main circuit off. I've replaced/repaired tens of PC PSUs for many problems, including their rockers failing in a non-zero number of cases. That works fine with the bedroom TV, though I'd have to get out of bed to power off (and probably wake my other half) than press the button on the remote control. But not so good for other devices. My smart watch and its base light up when charging. My phone has a light when charging. The surge protector they are plugged into has a light. And if anyone slept on my sofa, they don't get to turn off my Sky box as it records during the night, nor do they turn off my NAS. Wee Red Bird wrote: And if anyone slept on my sofa, they don't get to turn off my Sky box as it records during the night, nor do they turn off my NAS. One place I know this to be used has the sockets beside the TV split so that the TV and VHS(analogue recorder, now just used as player)/DVD box switched off at night (some christmas tree lights also seasonally feature on this outlet), but the other socket powers the DVB recorder and the aerial splitter-booster that also sends into another room continuously (to a TV switched off at the wall when not in use (the 'power' button on the remote has become unresponsie anyway! No other way of offing it, but channel buttons/etc wake it once powered from the wall again) as is the radio and a third socket (out of four) depending on what it's used for, but the telephone base-station there is left powered at all times). Elsewhere in that house, a double-socket is split to always-on for the ADSL modem/wireless router equipment and one of the cordless phone charger-base modules, and the other side is optionally on (when needed) to supply, IIRC, their PC, its monitor, the speakers, an external HDD, an external DVDR, spare socket where the laptop is often plugged in, photocopier, scanner and multifunction printer (yes, duplicating duplication functionality! Don't ask…), at least. 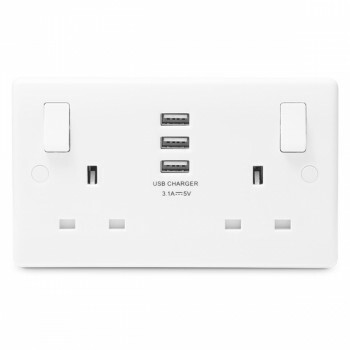 Most of the latter have next-to-kettle-socket switches, but PC/monitor/speakers and external drives just need the wall switch then the PC front button pressed to be brought to use. Not wanting to labour the point, but definitely too useful not to use if you have it, even if you can otherwise fudge it where you don't. Horses for course. Ah, we seem to be at cross purposes. While they can physically turn off the items mentioned, doing so would result in their shelter for the night being revoked and no future offer of a place to sleep would be made to them. Meh, I just replaced the LED with a significantly dimmer one and gained a bright blue LED in the process, should I ever need it. I generally don't like using adhesive tape for any permanent installation anyway because of the gunk they leave behind when removed. Quick derail here [broken-train-tracks emoticon]: Are Gaffer, Duck and Duct tape all the same? I do know that there is a type of tape used for hockey sticks but don't know what it is called. Maybe Hockey Stick Tape? Old Bruce wrote: Quick derail here [broken-train-tracks emoticon]: Are Gaffer, Duck and Duct tape all the same? 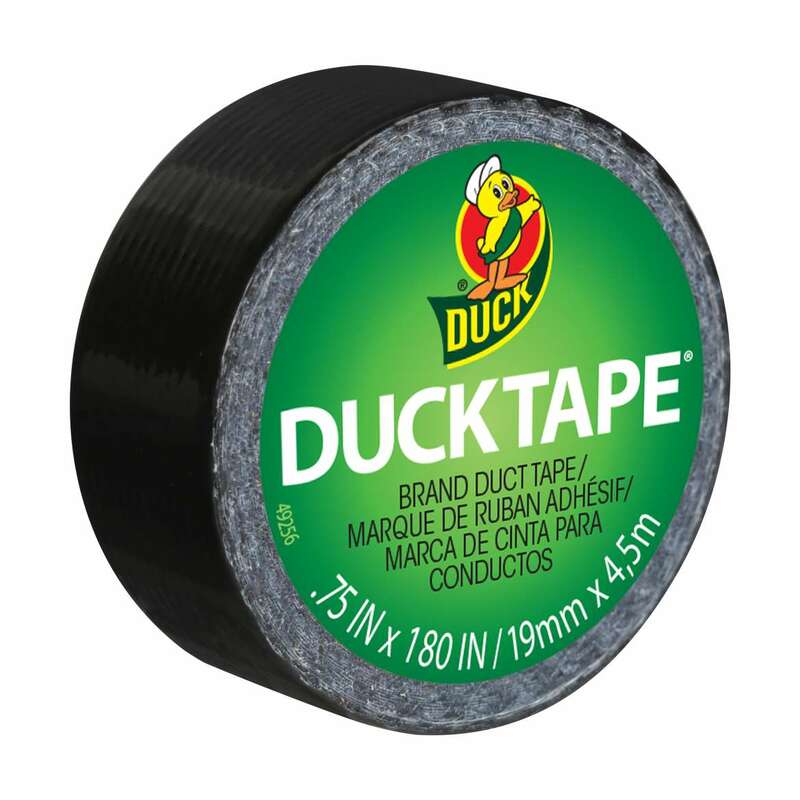 Duct and Duck tape are the same, although Duct Tape is a registered trademark. Gaffer Tape is also an adhesive tape with a cloth backer, but it doesn't leave as much residue on the surface when removing, and is used in theater applications for holding down power cords, etc. But there's dissenters to this, outside of the actual Trademarking chronologies. Each side probably horizontally fertilised the other side, "in common, if misheard, usage". The etymology of "gaffer tape" relates to its use by "gaffers" (who commonly used tape such as this to secure/hide trailing wires, or to mark spots actors/props should stand, and thus prevent "gaffs" (blunders), as just mentioned) who generally work as chief electric/lighting engineers but arose from the early film industry as prototype lighting engineers by moving overhead lights or (earlier) roof-louvres, controlling the amount of sunlight and bright skies, to maintain the correct lighting scheme for a scene with a "gaff" (pole with a hook). I had always assumed the theatrical / motion picture "gaffer" as being a dialect form of "grandfather", being used in the sense of "old man". As opposed to the "best boy", his chief assistant. I never actually looked for evidence on this, though. It might have helped keep the term alive. "Best boy", itself, is said to arise from some early-era producer/director asking some gaffer or key grip1 or other to get his best boy (most experienced assistant) to do a certain job. Probably carried over from casual pre-film "assistant chief <foo>" usages, but remembered more due to the relative permanence of celluloid end-credits. 1 Grips, supposedly, started off as those who would hold a camera and its mounting steady, whilst the camera operator concentrated on properly hand-cranking the film through the gate. This became a general manhandling of cameras in other ways (e.g. dollies on tracks) and other equipment (lighting rigs, though usually not the lighting itself). - Not that I'm an expert. I've been an extra, but I didn't really take much notice of who was who, and why, at the time. Mostly tried to not fall off the scenery, and also neither be too anachronistic for the implied setting. I managed to succeed in one of those aims. Old Bruce wrote: I do know that there is a type of tape used for hockey sticks but don't know what it is called. Maybe Hockey Stick Tape? That one is "sticky tape". Yeah I've always heard "sticky tape" to mean any self-adhesive tape.